Every year, thousands of Unfair Labor Practice charges are filed against unions with the NLRB by union members, represented employees, as well as employers. 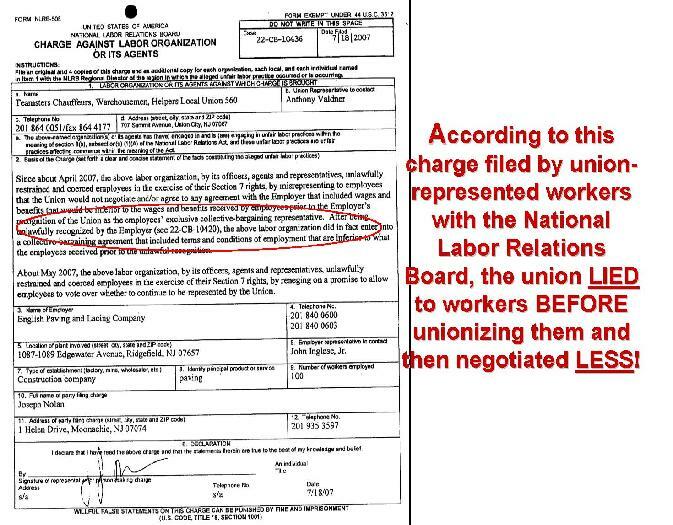 The charges below are actual charges filed with the NLRB alleging how employees were lied to and manipulated into a union. Note: Please check back here often as we will be adding additional charges to this section frequently.